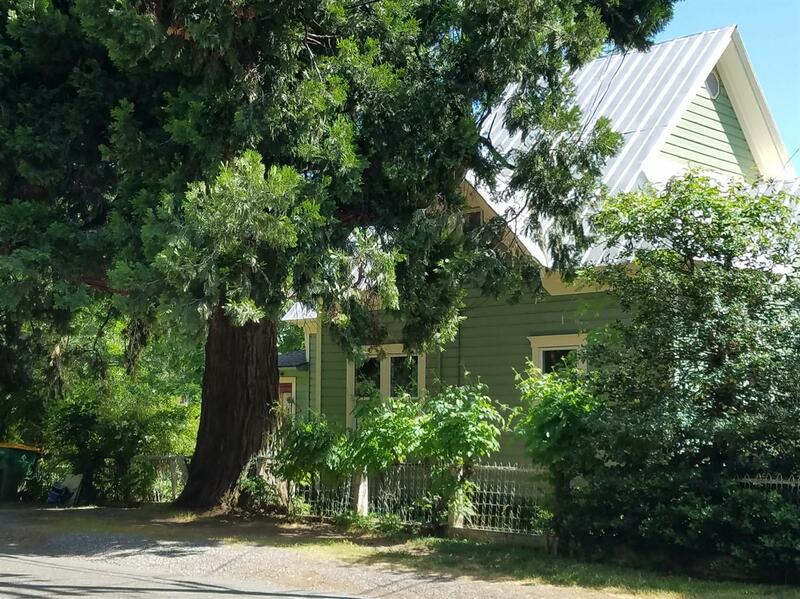 Take a step back in time and enjoy the warm vintage character of this well loved home located in the Sierra Foothills, Historic Georgetown CA. Charming 1900's, 2-story, 2160 sq ft, 5 bedroom home. Offers great potential for converting into a thriving Bed and Breakfast or is suitable for growing families! Wonderfully situated on a large, corner lot with ample parking and walking distance to cafes, taverns and a variety of local venues. Beautifully renovated with many vintage aspects to impress and welcome guests. 11 ft ceilings, double hung windows, Birch & Pine wood floors, Pine cabinets, wainscoting, claw foot tubs, pedestal sinks, vintage kitchen range (negotiable). Private yard is ideal for casual parties or special events with mature plantings, flower/herb gardens, fruit trees, shady oaks and towering redwood. Enjoy quiet moments in 2nd level sitting area or covered front porch. Ideal space for hobbies or projects in spacious workshop with finished walls, flooring, power & water.